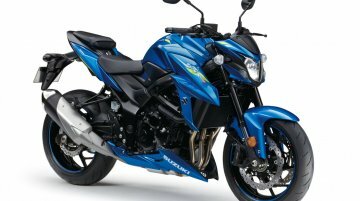 Suzuki Motorcycle India closed FY2018-19 very close to its target of 7,50,000 unit sales. 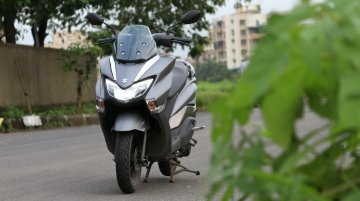 The Indian arm of the Japanese two-wheeler brand clocked its highest ever sales and sold 7,47,506 units in.. 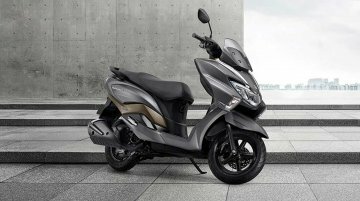 The Burgman 125 and the Access 125 continue to fuel sales of Suzuki Motorcycles India as the two-wheeler brand registered 13 per cent increase in year-on-year sales in November 2018. In the domestic.. 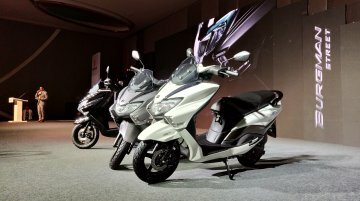 The Indian scooter market, which accounted for about 7 million units in 2017, is diversifying and has seen the introduction of premium sporty mode;s like the Aprilia SR150 &amp; SR125, TVS Ntorq 125..
Suzuki Motorcycles India has dispatched over 10,000 units of the Burgman Street to dealerships in India since its launch on 19 July. 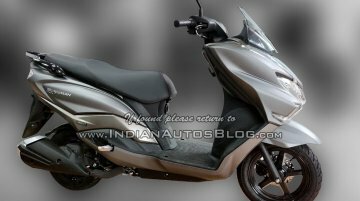 The India-made Suzuki Burgman Street will be on display at the upcoming GIIAS 2018 (Gaikindo Indonesia International Auto Show). 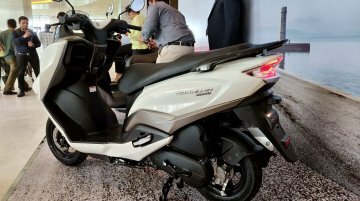 The company, on 19 July, launched the Suzuki Burgman Street in India..
A new YouTube video shows the Suzuki Burgman Street recording a speedometer indicated top-speed of 100 kph, courtesy of YouTuber Dino’s Vault. The Burgman Street will launch in India on 19 July. IAB.. 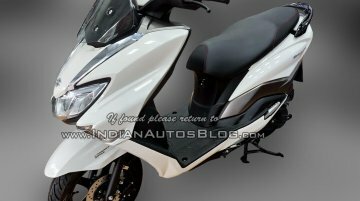 Yesterday we reported on the ex-showroom, Mumbai price of the Suzuki Burgman Street. IAB has now got hold of images of the Matte Grey variant of the baby Burgman. Now that Suzuki dealerships are accepting bookings for the Burgman Street, readers who are potential customers inform IAB that it costs INR 71,938 (ex-showroom Mumbai). 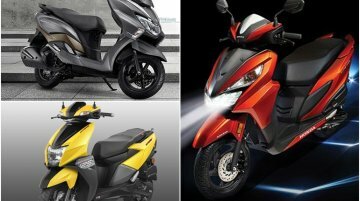 Suzuki Motorcycles India is to..
Suzuki Motorcycle India will launch the upcoming Burgman Street in India on 19 July. 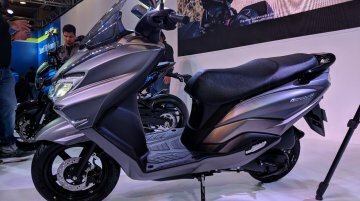 The maxi-scooter debuted in the domestic market at the 2018 Auto Expo. 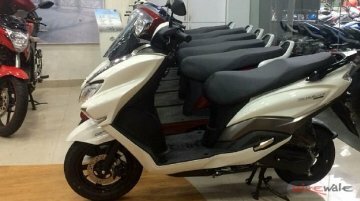 Let’s see how the Suzuki Burgman Street..
Suzuki Motorcycle India is set to launch the Burgman Street maxi-scooter on 19 July. 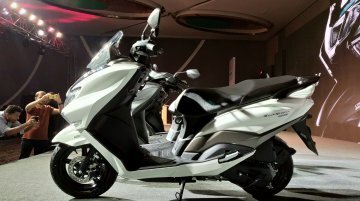 Ahead of its launch, the scooter has been previewed by YouTuber Motoblizzard. ? The company has started.. 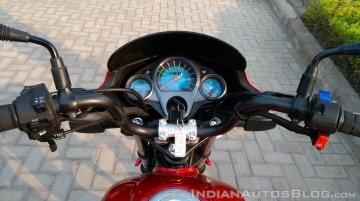 The Indian two-wheeler segment, the largest in the world, recorded an increase in sales of 22.69 percent year-on-year (YoY) in June 2018, according to sales data provided by top six Indian two-wheeler..
Suzuki Motorcycle India has started dealer dispatches of the Burgman Street, according to Bikewale. 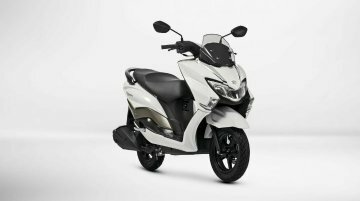 The Suzuki Burgman Street is scheduled for launch on 19 July, and the maxi-scooter made its Indian..
Suzuki Motorcycle India has announced the launch date of the Burgman Street, which will take place on 19 July. 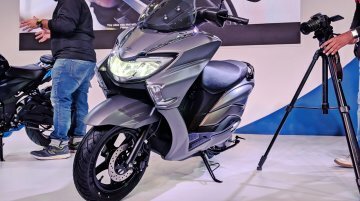 The Suzuki Burgman Street made its Indian premiere at the Auto Expo 2018. Suzuki will..